Gaviria made it two victories out of two sprints contested at this edition after a pulsating finale. The longest finishing straight of the 2018 Tour de France was a thrilling and action-packed one, with the peloton furiously chasing the day-long four-man breakaway, who led until under the flamme rouge arch, where they were mopped up by a reduced bunch, consequence of a crash that occurred with five kilometers to go. 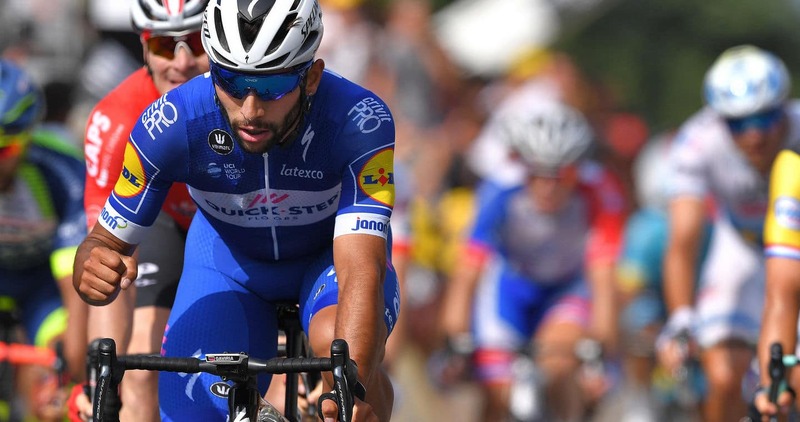 Fernando Gaviria was unfazed by all what happened in the closing part of the 195km stage between La Baule and Sarzeau, throughout which he was protected by his teammates at all times, and after being ideally dropped by the brilliant Maximiliano Richeze with 220 meters to go, he put in a devastating sprint which saw him beat Peter Sagan (Bora-hansgrohe) and Andre Greipel (Lotto-Soudal), en route to Quick-Step Floors’ 49th UCI win of the season. “To take two stages at my first Tour de France is just… Wow! It wasn’t easy at all, but we came here in very good condition, keen on leaving our mark on this great race, and thanks to the fantastic work of the entire team we have reasons to smile and be happy, but we don’t want to stop here and will remain focus for what’s to come”, said Fernando after his hugely impressive sprint in Bretagne, a region which abounds in myths, legends and stunning scenery. A quartet got clear of the bunch early and established a seven-minute advantage, while Quick-Step Floors duly moved to the front of the pack with Tim Declercq and Niki Terpstra, doing the bulk of the work and bringing the gap down to two minutes inside the last 20 kilometers. On paper, the chasers shouldn’t have had any problems in nullifying that move, but a strong tailwind played into the escapees’ advantage, who rode for dear life on the narrow roads of Morbihan. Quick-Step Floors were joined in the chase by other teams only with ten kilometers left, and despite the scrappy finish and the road going up in the last kilometer, always maintained its position at the front, thanks to an unreal 400m lead-out of Richeze. 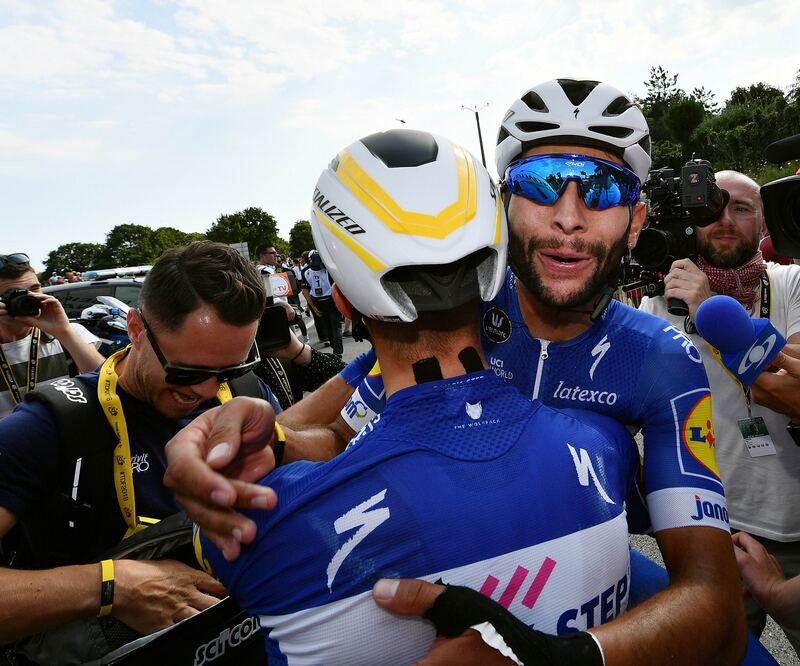 Gaviria confidently opened his sprint from the middle of the road, and despite being briefly surpassed by Greipel, he found that second magical kick to notch up the victory, Quick-Step Floors’ 34th at the Tour de France. The 23-year-old Fernando, the first rider to win multiple stages at this year’s edition, took us through the hectic finish of Tuesday, which brought him within four points of the points classification lead.